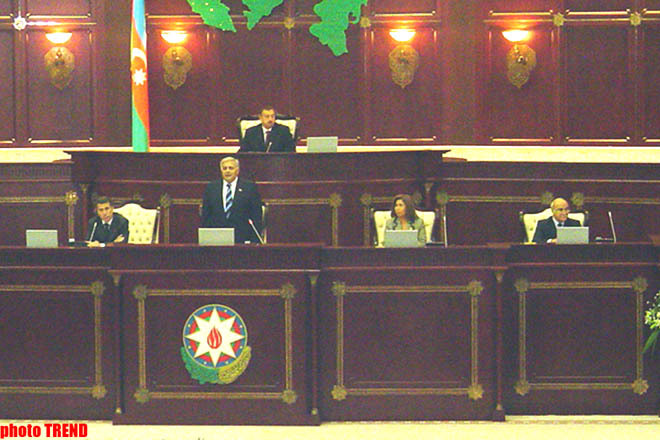 Azerbaijani President Ilham Aliyev stated to the opening of the autumn session of the Azerbaijani Parliament on 2 October 2006 that some Forces ask why the Armenian-Azerbaijani conflict over Nagorno-Karabakh has not been resolved yet. I want to state that we will never approve any agreement not suited to us. Despite pressures, as the President, I will never sign an agreement contradicting the Nation's interests, he stressed. We are keen to continue talks under the format of the OSCE Minsk Group. However, the participation of other international organization could promote the resolution of the problem. Our position remains unchanged. The territorial integrity of the Country must be restored. I do not see an agreement further than this. 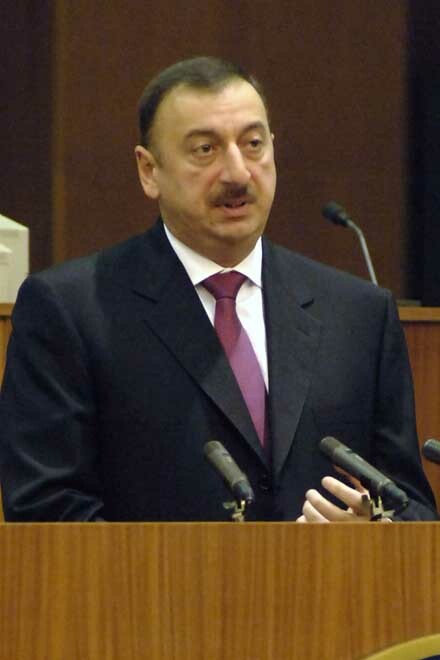 The occupied territory of Azerbaijan must be liberated and the refugees must be repatriated. The Armenian population of Karabakh can be issued with a high status of autonomy. The political situation is in our favor, he said. Azerbaijan should further pursue an active policy. This has been done by informing the Western world of our situation and its economy. The military's potential is strengthening continually. The military budget of Azerbaijan should be equal to Armenia's entire public budget. We will achieve it next year, Aliyev emphasized. He noted that the consolidation of the military potential does not mean the automatic resolution of the conflict in combat. This is a last resort. Our policy should be aggressive. We should attack, he stressed. As Azerbaijan grows much stronger than Armenia, then there may not be a necessity for the resolution of the conflict in battle.